In many areas, tree planters are required to have Silvicool Sacs in their tree planting bags to help keep the seedlings cool and protected from dry air-flow. Silvicool sacs only properly fit in Bushpro tree planting bag system. Redesigned in 2017 with Bushpro's standard weight Silvicool material which has excellent material adhesion and tear strength. The 2016 and prior design is back but with an increased volume of 25%. 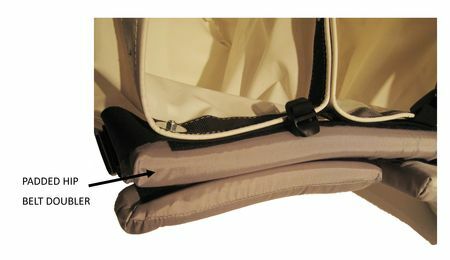 Designed the be attached to either the left or right bag + waist belt or waist belt only. 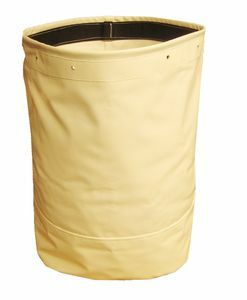 Planters who like to carry all of the weight on their hips (without shoulder straps), or planters who have very small hips, may choose to add another layer of padding to their bags. Our special padding insert has Velcro on both sides so you can put it on when you want it, and take it off when you don’t. 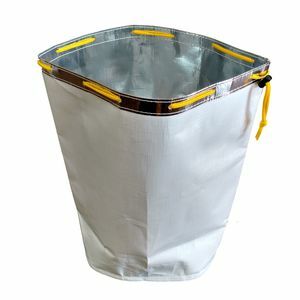 PC 030 - Standard 14" component bucket - 25L capacity - comes stock on 3 pouc and 4 pouch planting bags. PC 032 - 13" - 15" component bucket- 26.8L capacity - can be mounted as 15" buckets ot roll the top edge down to make them 13" buckets. PC 030B - 18" deep component bucket - 32L capacity - same footprint as our 14" buckets just 4" deeper. Ideal for tall stock. 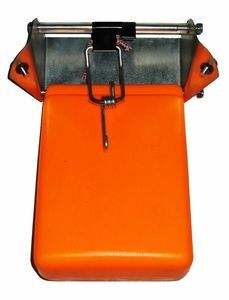 NEW - PC 030XL - 14" XL component bucket - 31L capacity. 14" deep but larger in length and width than our standard 14" bucket. Great for those who want to carry more trees. If Silvicool sac is required they this bucket needs the matching Silvicool sac, PC 705 XL. Multipot adaptors are used for the attachment of trays of seedlings to a harness which helps reduce the amount that a seedling is handled. Up to three Multipot adaptors can be attached to any Bushpro harness.